International investors are looking to take advantage of Spain’s ‘Golden Visa’ property for residency scheme, and are amongst those showing increasing interest in the Barcelona property market, according to Spanish property experts. There is more and more evidence emerging of growing sales in parts of the Spanish market, with Barcelona leading the way, according to OPP-Connect. Annual house sales in Catalonia have risen 43.4 per cent year on year in March , with Barcelona accounting for nearly two thirds (65.7 per cent) of them according to recently released figures from Spain’s National Institute of Statistics. The data has come after it had been reported in the media that prices of prime property in Mallorca, Spain had risen faster than in central London, with an average of 15.8 per cent over the last year. OPP-connect reports that Samantha Gore, Sales Director at agency uv10.com, based in Barcelona, has said that with Spanish prices at an all time low, overseas investment in and around the Catalan city is growing, including increased interest in the ‘Golden Visa’ property for residency scheme, which requires a minimum investment of €500,000. “After seven or eight years in the doldrums, life is being breathed back into the Spanish property market with affluent, attractive, accessible places such as Barcelona leading the way. Prices here are as low as they are ever going to be, throwing up some great investment opportunities in one of, if not the best, cities in the Mediterranean. 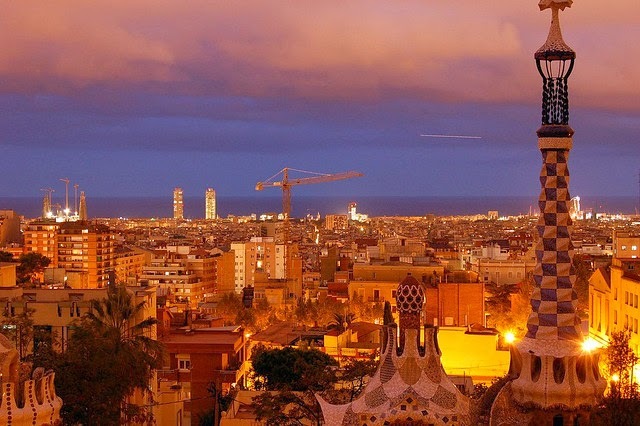 “From luxury million euro loft living in El Born, to rental apartments in Eixample, Barcelona has an investment and lifestyle opportunity to suit every strategy and wallet. The agency’s clients are usually cash buyers, and include families with young children and retirees. They are particularly selective about location, are willing to rent, and will not be persuaded to buy something just because it is cheap. The Costa del Sol city of Marbella is also experiencing a surge in property sales and enquiries, many from non-EU ‘Golden Visa’ buyers. Ron Wilkinson of Alta Vista Property says that the renewed interest in property in certain parts of Spain has heralded an increase in enquiries about property across the whole of Spain. “With prices having hit rock bottom, and beginning to rise in some areas, it is the perfect time to invest in the Spanish market and investors are beginning to take heed of this. About the author: Bradley Shore is an experienced travel and property investment author, he writes for a number of clients in the digital industry. He currently does freelance writing but eveantually he wants his own blog which he can post to regulary.